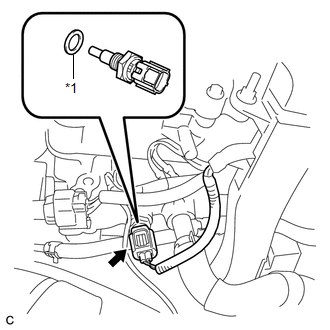 (a) Install a new gasket to the sensor. (b) Install the engine coolant temperature sensor. (c) Connect the engine coolant temperature sensor connector.